Home / Art and Culture / Not a fan of Panto’s?…this may just change your mind! 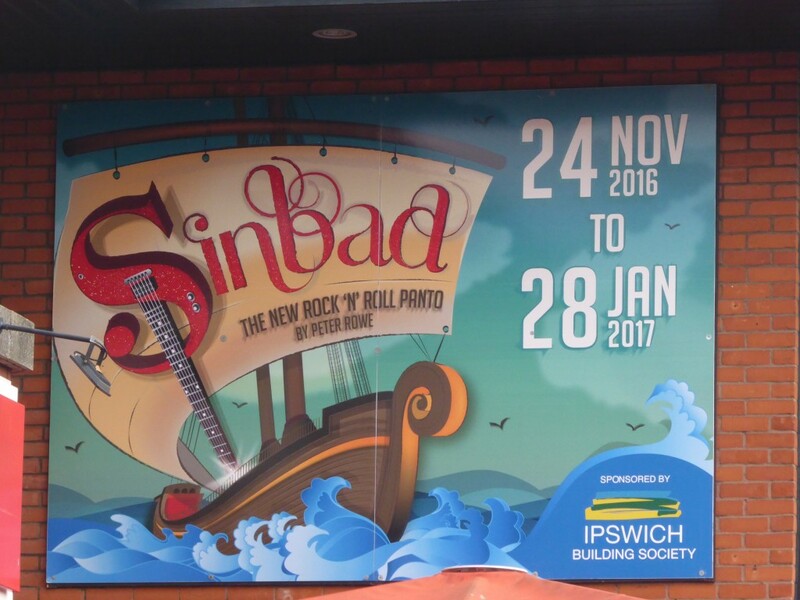 Not a fan of Panto’s?…this may just change your mind! Whilst I enjoy going to the theatre, when it comes to panto season I can take it or leave it, and if I am being honest I usually leave it! Now don’t get me wrong I am sure there are some great panto productions out there and I know there are loads of people who look forward to seeing one during the festive season but I’ve never really been that keen on them for some reason. This Christmas however, as a result of working my way through Suffolk’s Top 50 (and seeing a pantomime at the New Wolsey is on the list) I found myself heading towards the theatre to see my first panto in years! On my way to meet Sinbad! I love going to the New Wolsey as it has such a welcoming feel as soon as you step through the doors into the foyer. I have seen a number of productions in recent years, many have been superb, like ‘Made in Dagenham’ which was so amazing I felt like I was watching it in London’s West End. As I entered the theatre there was an air of excitement among the audience, all waiting for the show to start and as I found my seat it was then that I started to get worried about how much audience participation there was going to be when I saw how close I was seated to the stage! 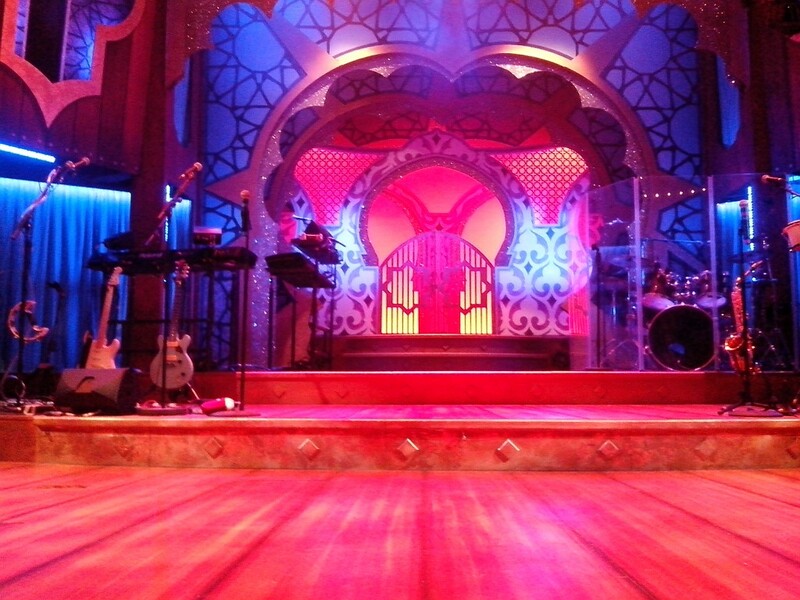 All seated just waiting for Sinbad to appear! Although as I said panto’s are not my thing I threw myself in with an open mind and Bravo! New Wolsey what great fun we had!! This ‘Rock and Roll’ panto had us cheering, laughing, dancing & singing. I absolutely love actor-musician productions, which I first discovered at the New Wolsey a few years ago. There is something funny about booing the evil sorcerer Sinistro, then noticing him a bit later in the background of another scene grooving away playing the keyboard! The panto kept me entertained with lots of surprises! The set and costumes were fab and the actors very talented. The rock and roll numbers throughout the show made me smile and although there were a few scary moments, with my seat being so close to the stage I got away with it – just, although others didn’t! But it won’t spoil it for you – you will have to go and see the show for yourself! 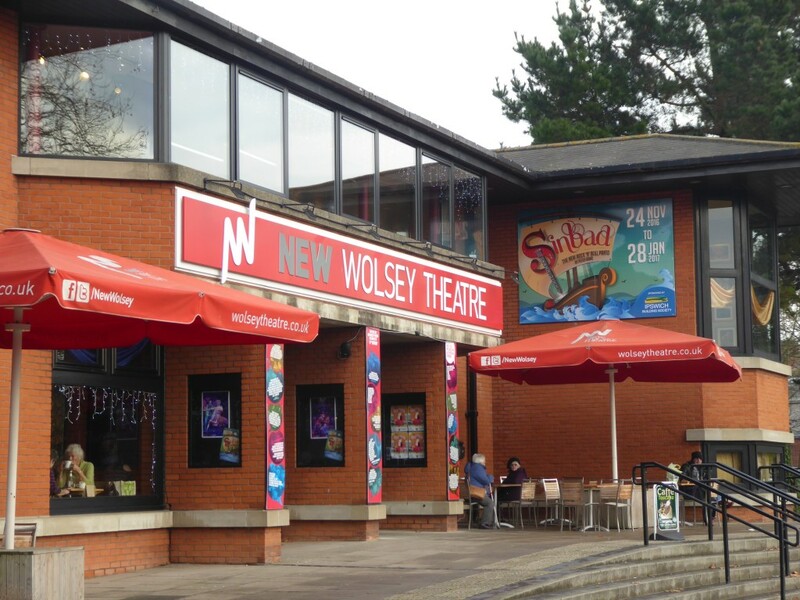 The Panto is on at the New Wolsey until 28th January click here for more info. You can also check out this review for more details.